Explore! Discover! Play games! Hike and have fun! 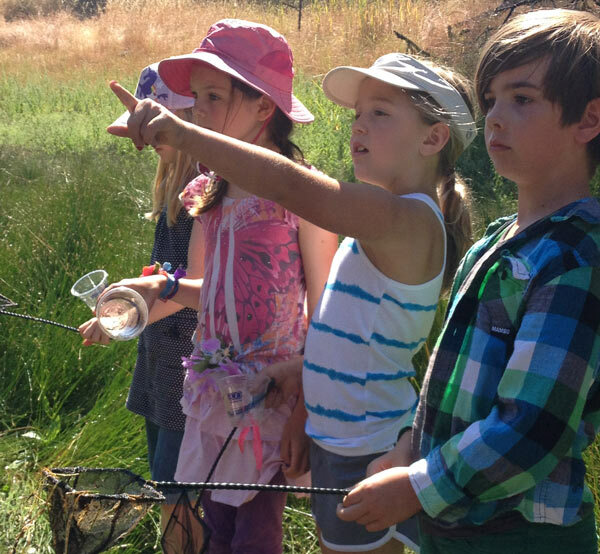 Pepperwood is so pleased to offer a summer science day camp, Budding Biologists, for youth ages seven to twelve. Every day, campers go on a hike to explore one of Pepperwood’s diverse habitats. They look for signs of animals, examine specimens up close, and record their observations in their very own nature journal. Back at the Dwight Center, campers create nature crafts such as plaster animal tracks and flower art, dissect owl pellets, and play games. Camp is held in early June for two week-long sessions, each Monday through Friday from 9am to 3pm. Participants can attend one or both sessions. Click here to view our summer camp event listings.